We shell the pumpkin seeds for you! 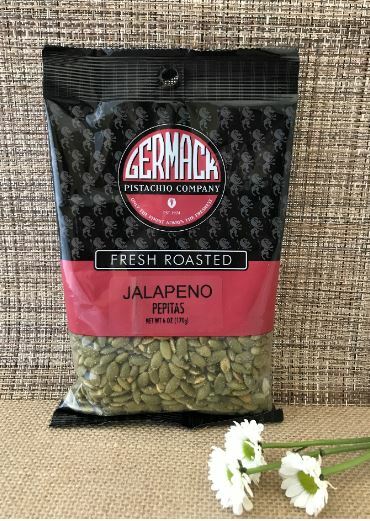 These are gently roasted and salted to bring out the full flavor of the seed, with a special kick of jalapeno flavor. Try these pepitas tossed into salads!